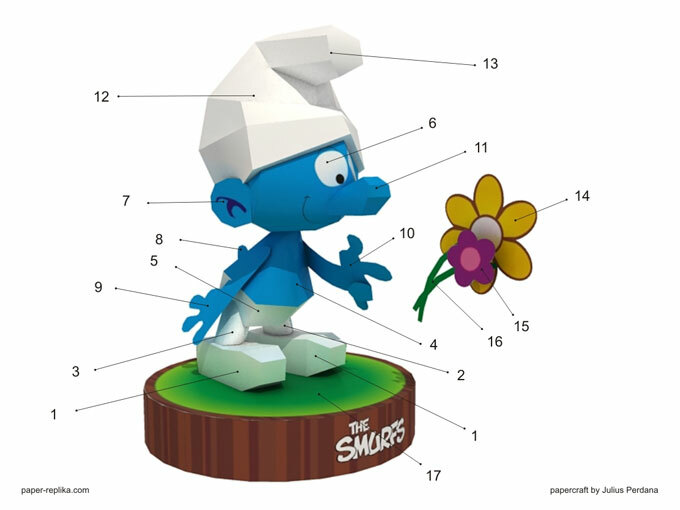 Smurfs Papercraft Series - Smurf Love	. 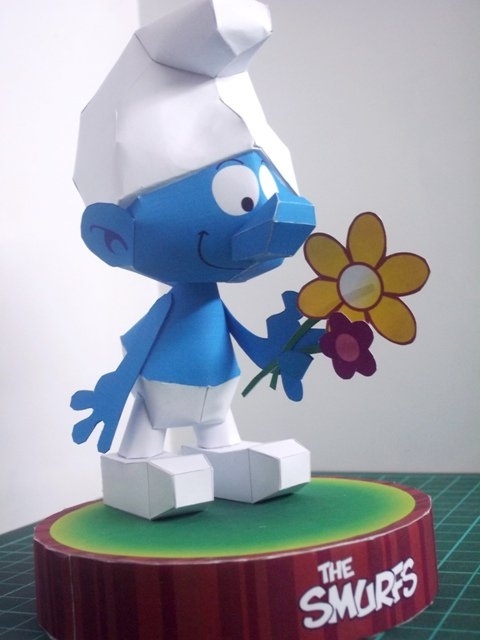 About a year ago, my friend had request this smurf figurine papercraft but I didn't make it until now. 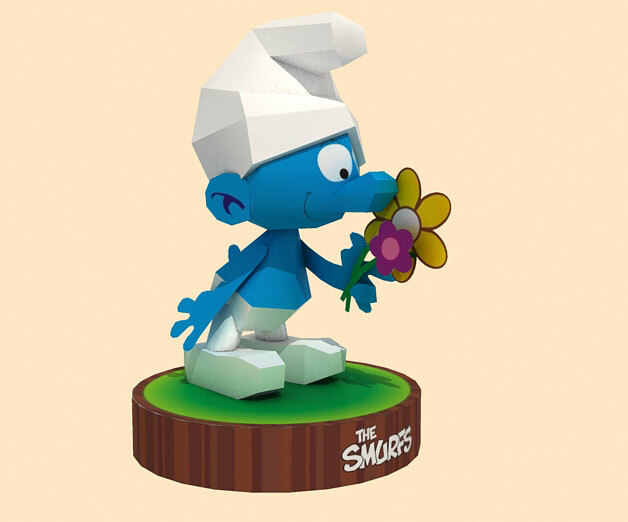 This is Smurf in love, in the comic he always sniff or brings flowers to be given to smurfette, a pretty blonde smurf :). 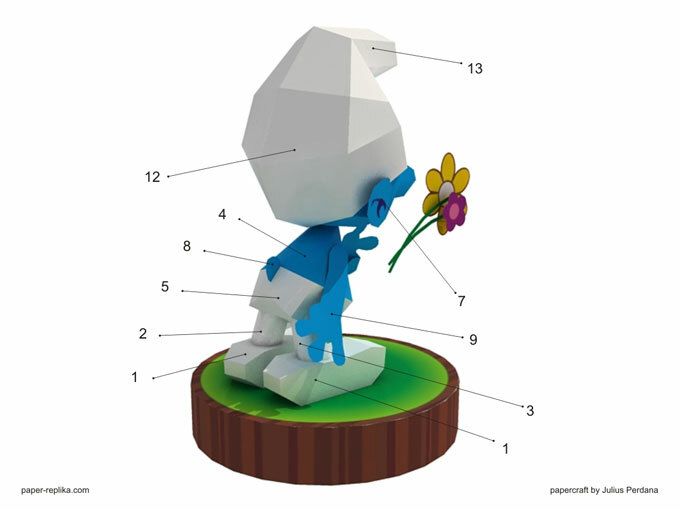 And then I read about how Smurf the movie had been on top of the movie box office chart this week in USA theaters, so I think this is the right time to make these cute creatures into papercraft. I plan to make the whole smurf village complete with houses and its citizens. This Smurfs which I model is not from The Smurfs movie (2011), I use the original comic drawing as my reference, or maybe it will be cross usage with the movie. I remember, I had enjoyable times when reading this comic when I was a kid, I love miniatures so much, that's why I love scale modeling. I made two wiggle stereoscopy, just click on the wiggle image to open another one. So smurf the smurf!